The Sandoval Lake Lodge • Use the form below to contact us directly. Fill in the fields to check availability & reserve direct with The Sandoval Lake Lodge. 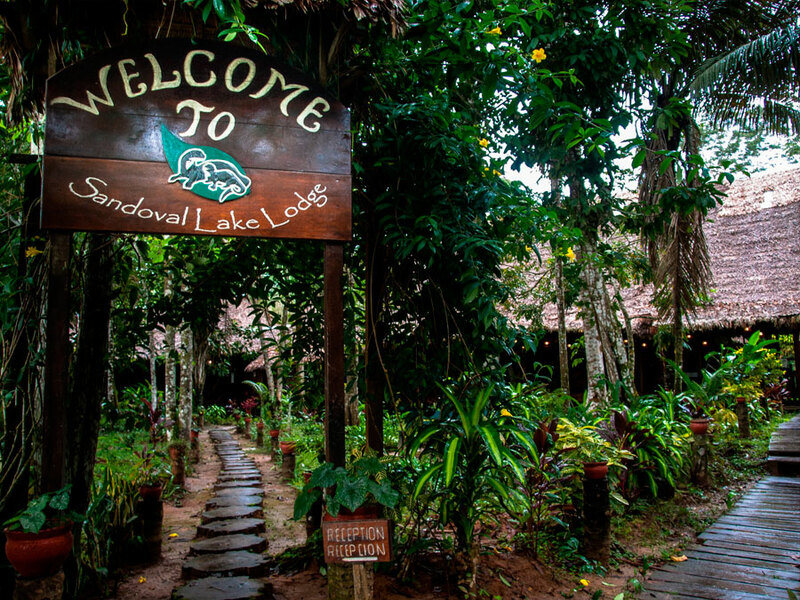 On the Sandoval Lake Lodge Amazon tour, you will enjoy guided excursions of the Sandoval Lake. 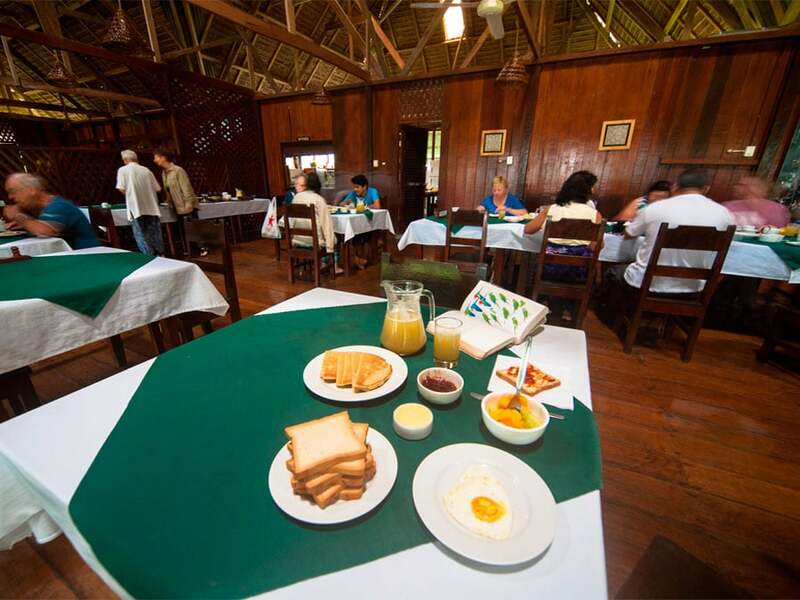 From the comfortable Sandoval Lake Lodge, enjoy tours to see many different Amazon Rainforest animals. 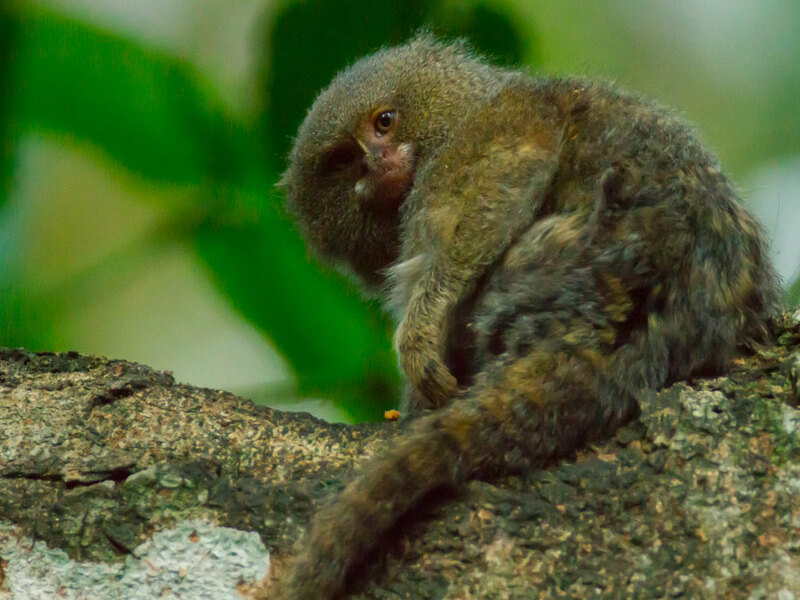 Animals to spot include different monkeys, parrots, toucans, sloths, and giant river otters. 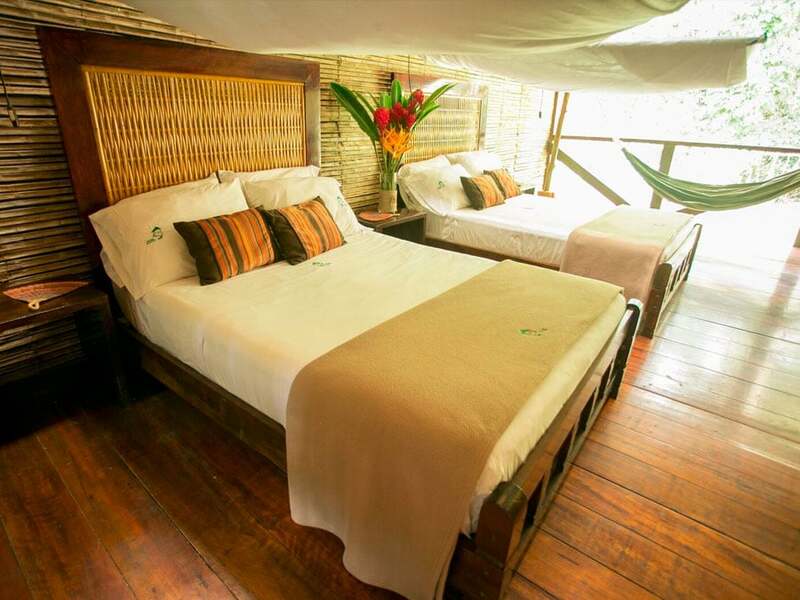 The lodge is nestled on Lake Sandoval in Tambopata National Reserve. 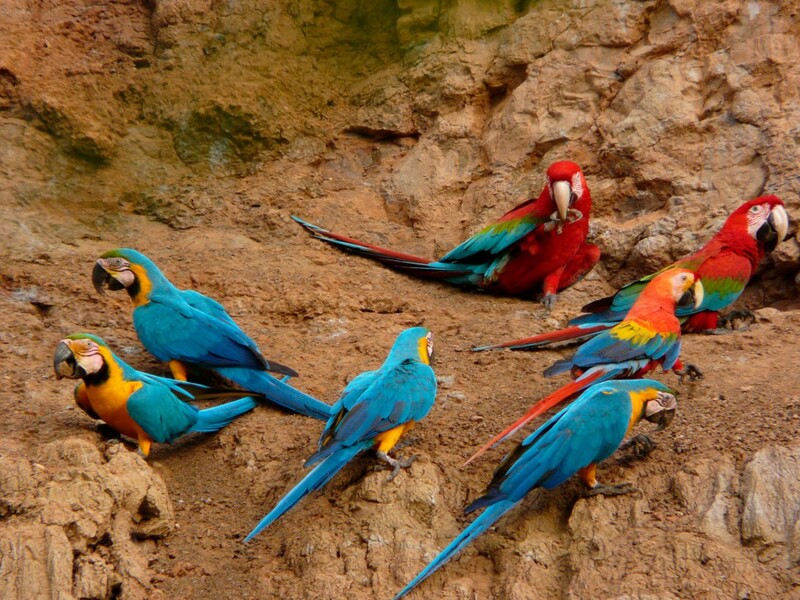 This is often regarded as the most beautiful and wildlife-rich lake in Tambopata. You will tour the lake during the day and sometimes at night to see different lake inhabitants. The Sandoval Lake edges are also very attractive to wildlife. This is one of the best places in the Amazon to see many different monkeys over a short tour of a few days. Programs at the Sandoval Lake Lodge can be as little as 2 days to 4 days. You will be accommodated in one of our 25 double-occupancy rooms. Your room has an ensuite bathroom, hot water shower, electricity, and fans. Enjoy comfortable airport transfers, expert guides, and lake tours to see the Sandoval Lake wildlife. Sandoval Lake Lodge was built from environmentally-friendly driftwood-mahogany. 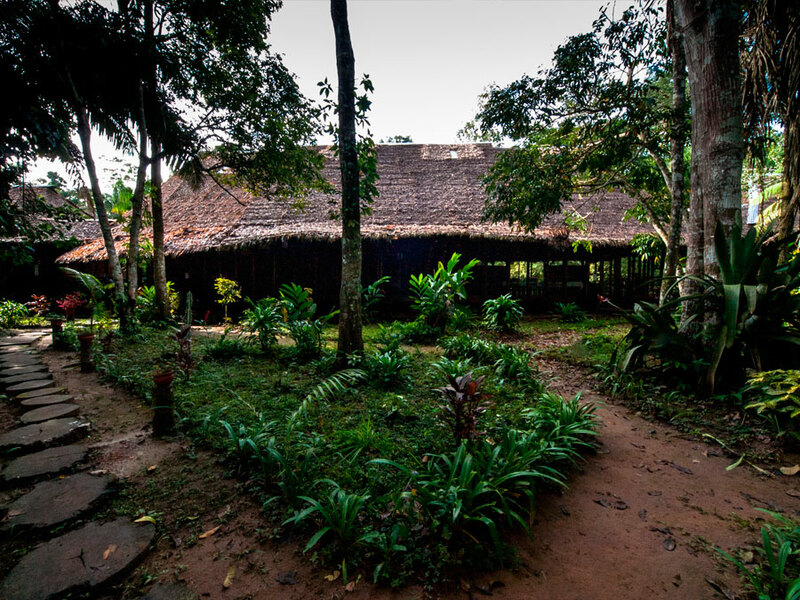 The lodge is owned by a conservation organization and five families of Brazil nut collectors. You will be accommodated in one of our 25 double-occupancy rooms. 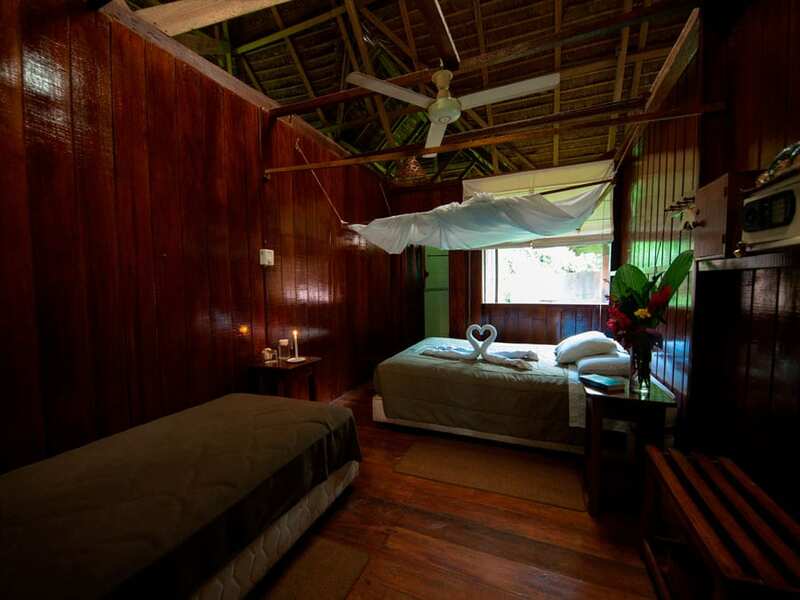 Your room has an ensuite bathroom, hot water shower, electricity, and fans. 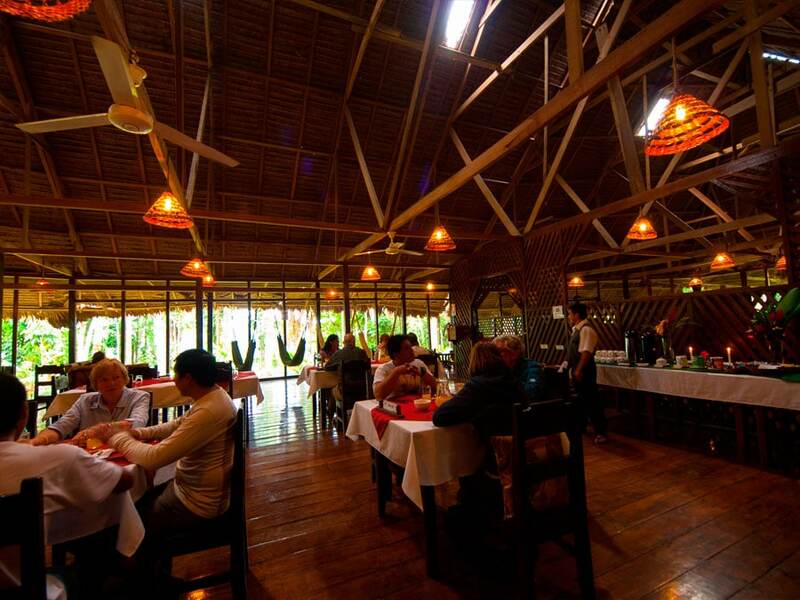 According to your Sandoval itinerary, you will enjoy breakfast, lunch, and dinner at the lodge. 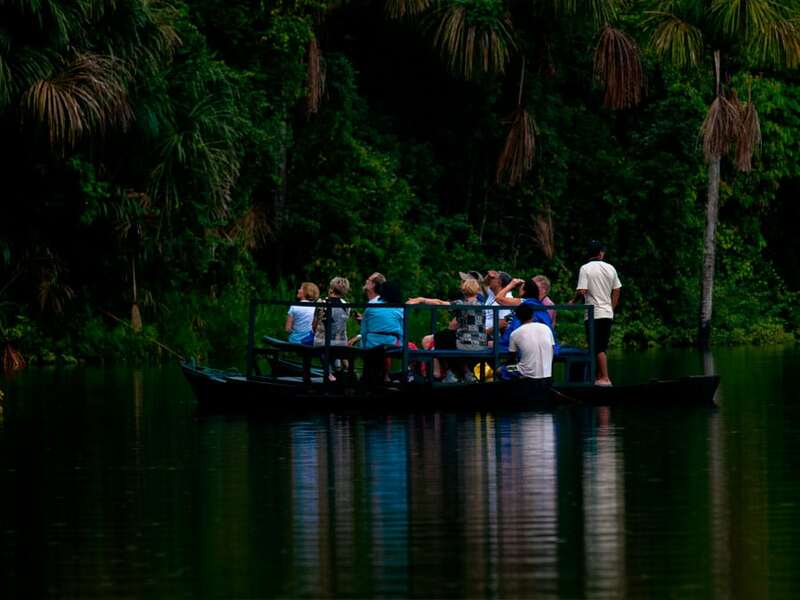 You will then enjoy exploring the incredible lake and some of the surrounding rainforest. 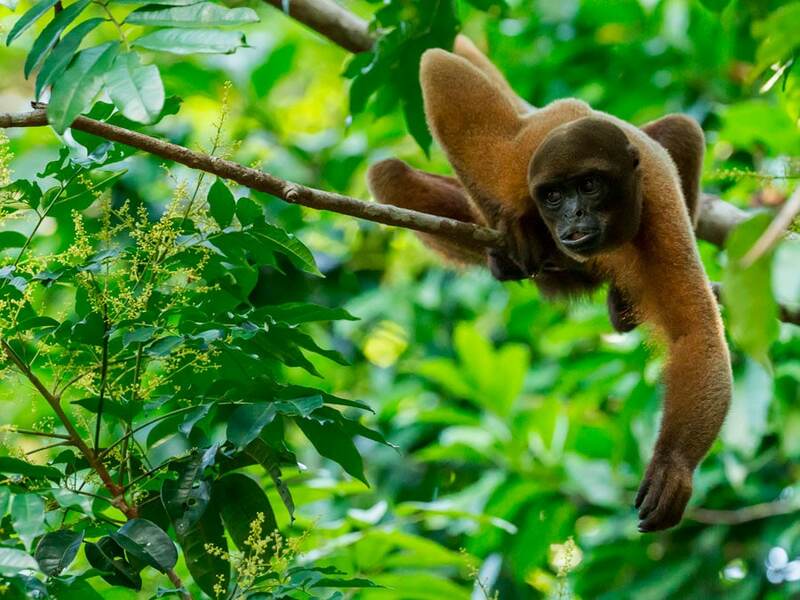 On tours around Lake Sandoval, we will search for the resident population of Giant Otters as well as the wildlife that visit the lake edges to feed, such as the Monkeys and Macaws. 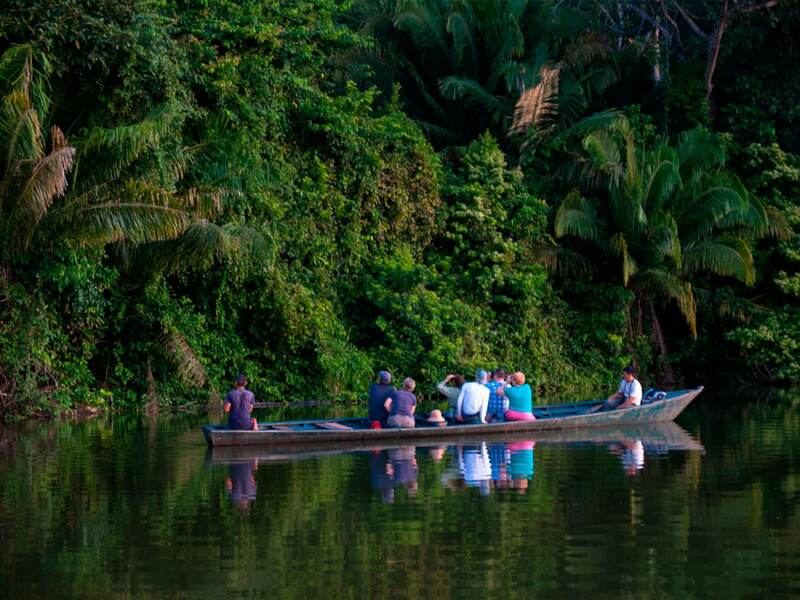 We will then spot Caiman and nocturnal wildlife on evening tours. 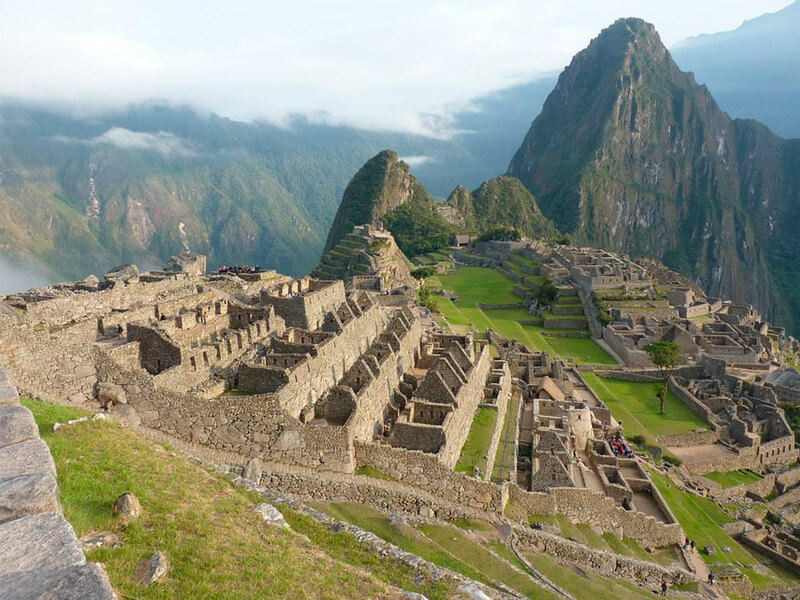 Small groups ensure we can provide individual attention to you and your group.